The Harmony Society: 9DW / Smooth Tutors split 12inch OUT NOW! 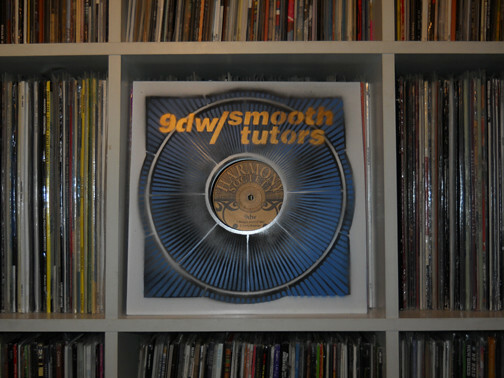 9DW / Smooth Tutors split 12inch OUT NOW! It's a great honor to release a split 12inch from Tokyo, Japan Club-Jazz-Fusion artist 9DW and Pittsuburgh, PA Funk-Jazz-PostRock-Fusion band The Smooth Tutors. Vinyl-only with no digital sales. Limited hand-numbered pressing of 350 copies worldwide with 3-color hand-stencilled sleeves. In finer record stores all over the world NOW!